After seven seconds from nine races, who could have predicted that COPPERFACEJACK would put himself into contention for ‘First News’ in two consecutive PWR Reports by winning his second consecutive race at Taunton! 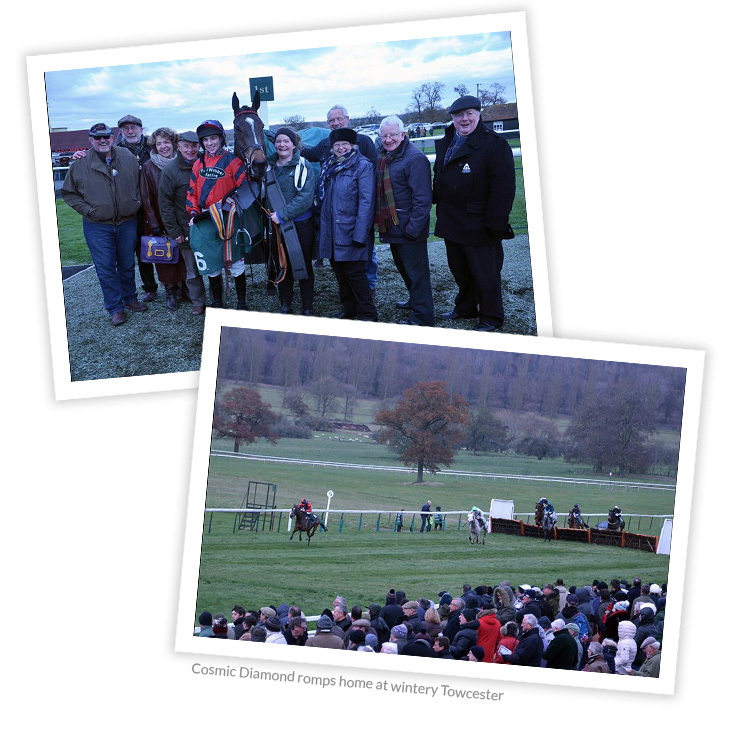 However, he has been narrowly gazumped at the very final hour by COSMIC DIAMOND’s easy win at Towcester yesterday. “LUCY” travelled so well through the race that barring disaster looked the winner from a fair way from home! There was a great turn-out from her owners, Economic Security Partnership who were corralled by Peter Bell in the absence of Ian Magee who is giving much-needed coaching to the England Cricket team in Adelaide. Let’s hope that “LUCY” can continue her improvement and defy the expected treatment from the handicapper. Her owners have been fantastically patient, not only with this horse but all their previous ones during their twelve-year sentence at Cropredy Lawn; you get given less for manslaughter these days! 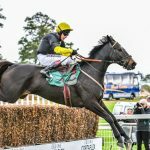 COPPERFACEJACK’s win was achieved after a beautifully-judged front-running ride from Gavin Sheehan at Taunton on the first day of the month. He jumped superbly and loved the fast-ish ground that will no doubt soon disappear for the winter? This was Gavin’s 300th winner and we are delighted to be a tiny part of his achievement, may he have hundreds more. “JACK” went up another 8lbs for that win but still ran a cracking race to be third at Market Rasen last week, on ground that was definitely softer than ideal for him. 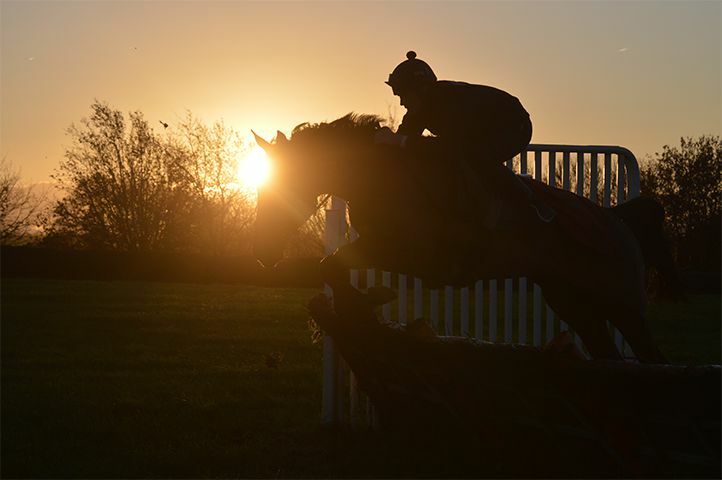 He may get one more go back at Taunton on 14th December, if the ground is still good enough. 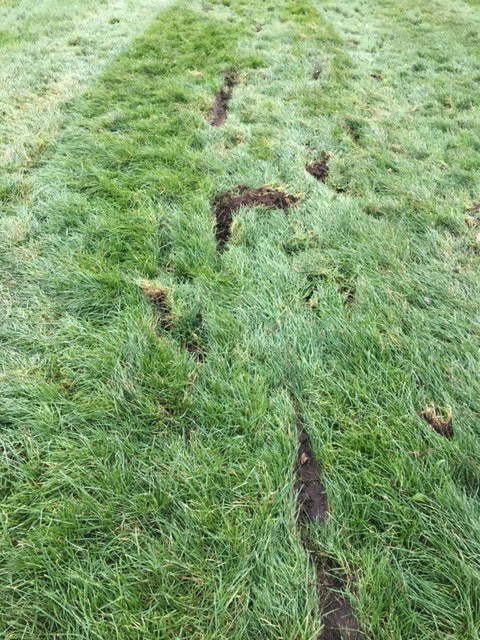 NEW AGENDA, unfortunately, ripped a shoe off and felt it during his novice chase debut at Ludlow. With the ground changing, we will put his chasing career on hold now until the spring, but he may run over hurdles at Huntingdon on 10th December if the ground is good. BOUGHTBEFORELUNCH was too fresh at Uttoxeter and did not settle as well as he should have done; put a line through this race and watch for him next time over two miles. ROYAL DEBUTANTE was a big disappointment at Fontwell where she never looked happy at any stage. We thought she had to be in the first three so it was a very long journey home on a Friday afternoon! Despite having a very clean tracheal-wash and appearing so well, her blood-test told a very different story with a very high Fibrinogen reading of 10 when it should be below 4. Fibrinogen tells us about the state of the lining of the lung itself, way down beyond the reach of the scope and there was obviously an infection present there. Not easy this business! LORD MARMADUKE made a very pleasing debut at Sandown which was witnessed by 20 members of The Good Lord Partnership that owns him! We think this a record turn-out of owners and huge thanks to Petra Gough and Sandown for giving each and everyone an O/T badge. It is so helpful when racecourses encourage and look after multiple ownerships in this manner rather than grudgingly handing out a few badges and then greedily charging for the rest. Everybody present on that Sunday will want to have another runner at Sandown as soon as possible because of the courteous way they were treated. Thanks again Petra! 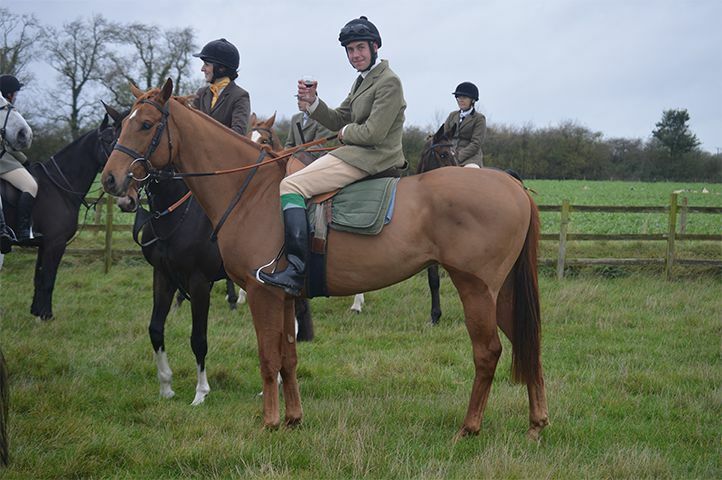 LORD MARMADUKE has had his idiosyncrasies at home but his three days hunting with The Bicester hounds and great patience from Lee Quirk has helped to iron some of these out! 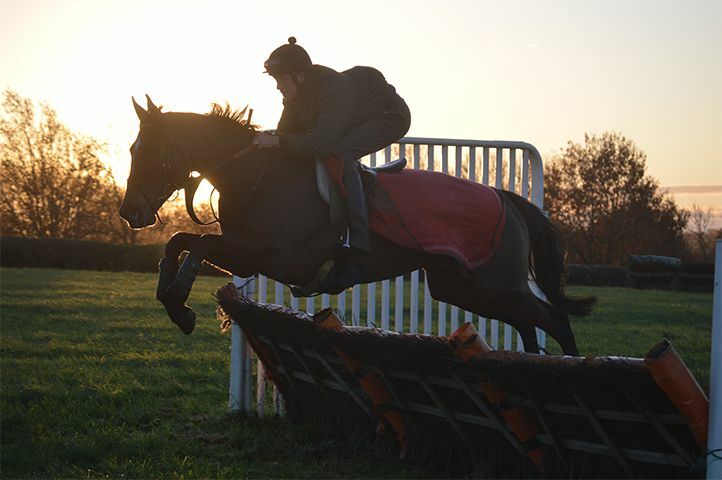 He has been more straightforward since Sandown and we look forward to him running at Leicester or Huntingdon next week. 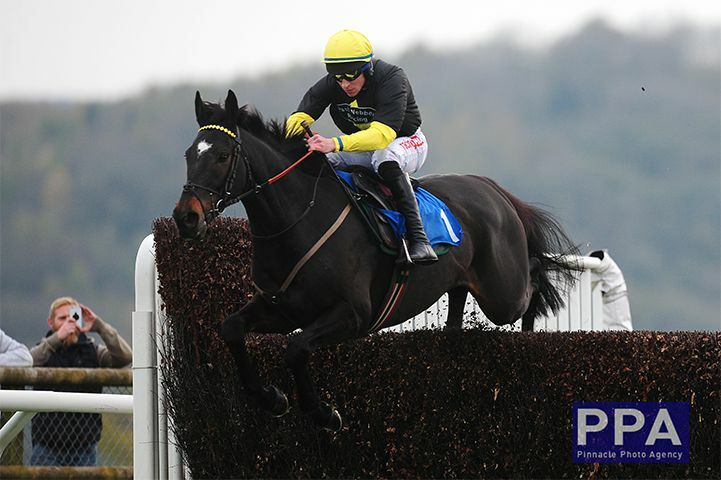 FINGERS CROSSED belted the first fence at Ludlow, which Richie McLernon and he did well to survive. This did shake his confidence and he will also have benefitted from this run, so to finish third was not too shabby. He tries again at Leicester on Sunday. ROBIN DEUZ POIS also ran well on her first run of the season finding two miles pretty sharp. She was beaten about twenty lengths but has still been given a mark of 107 which makes me feel the handicapper is a little distrusting of her trainer; we’ll see who is right at Leicester or Sandown next week! MISS TONGABEZI jumped bravely and impeccably in her first novice chase at Warwick last week and will definitely benefit from that in her next race in a fortnight’s time. Considering there is no way she could possibly see over a fence it was inspiring to watch her jumping. THE VENERABLE BEDE ran very well at Ascot last week on his comeback after 618 days in a very competitive novice hurdle. He is fine chasing type but needed this third run over hurdles to get a handicap mark so that he’s now eligible for novice handicap chases; his mark of 110 is a little higher than expected but we’re very flattered! BREATH OF BLIGHTY ran his best race to finish a staying-on second at Kempton on Monday. The cheek-pieces helped him to travel better through the race and he possibly ended up following the wrong horse around the last bend, getting slightly ‘held up in traffic’ at a crucial moment. I think he is ready to step up in distance now or at least try the same distance on a much stiffer track which makes us consider The Leicestershire Silver Fox at Leicester surprisingly on 28th December. 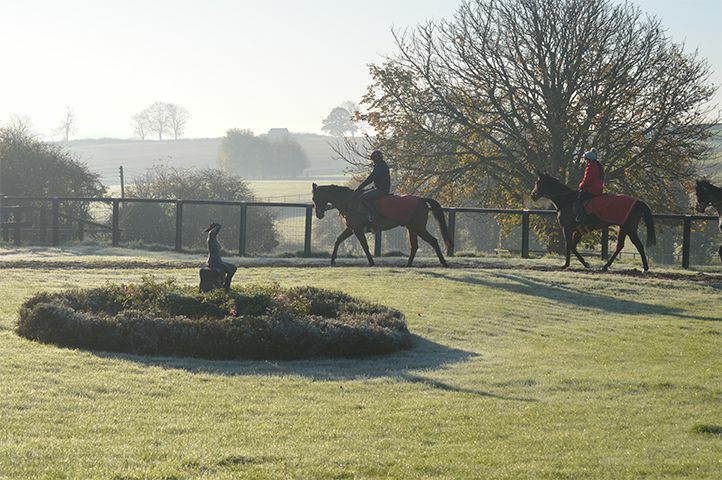 YOUKNOWELL was travelling extremely comfortably when having a weird fall at the third last at Towcester yesterday. She jumped the hurdle well in sixth place, but then fell three strides later. 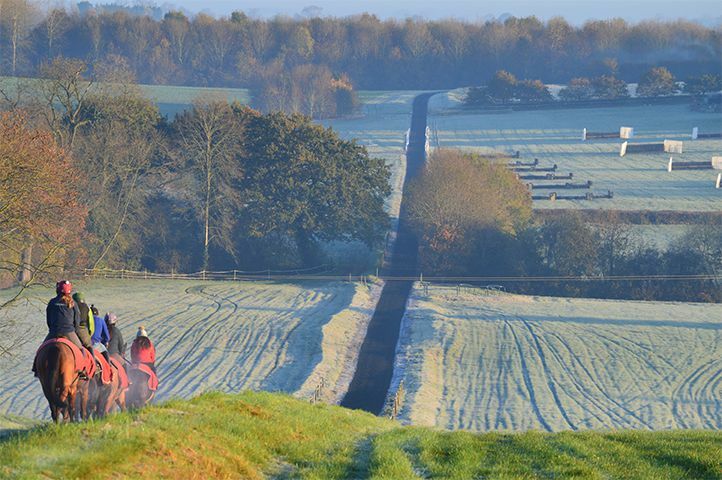 Having already walked the course before racing to help Gavin plot a wider course on COSMIC DIAMOND, I walked back down to that hurdle to see if I could ascertain any evidence into the cause of YOUKNOWELL’s fall and below is a photo of what I found. Cause or effect, it is difficult to know. 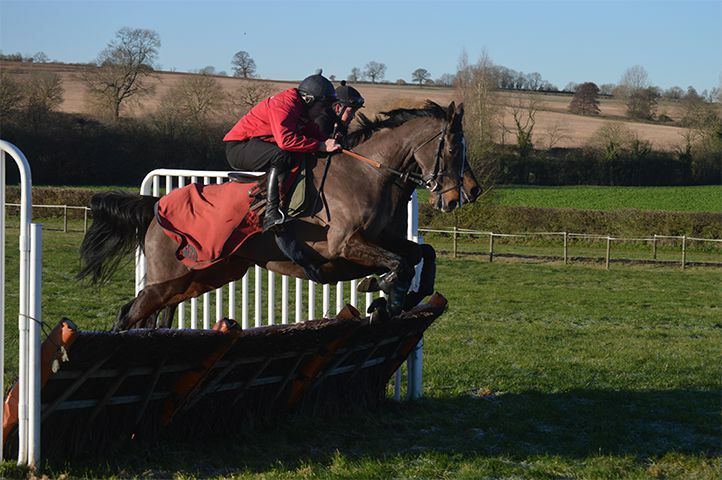 DASSETT GOLD has his first start over hurdles at Newbury on Friday and has loved his schooling. He showed promise in two bumpers in the Spring and will run well but Newbury maiden hurdles can be hot contests. We hope to launch the hurdling careers of the half-brother and sister pair of THE HIKING VIKING and VIKING QUEEN at Doncaster on Saturday. Both have done plenty of work and have schooled very well. 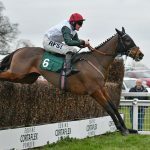 “TOMMY” bled for some unknown reason in his bumper at Kempton in February, a race won by Emma Lavelle’s very exciting prospect Irish Prophecy who hacked up in LORD MARMADUKE’s hurdle race at Sandown and may be in competition again on Saturday. We have seen no sign of a reoccurrence of his bleed and pray that we never do. He will wear a hood to help keep him calm and his blood pressure as low as possible and the trainer is thinking of wearing one too! VIKING QUEEN just loves her jumping and ran really well when third in her bumper at Doncaster rather a long time ago! 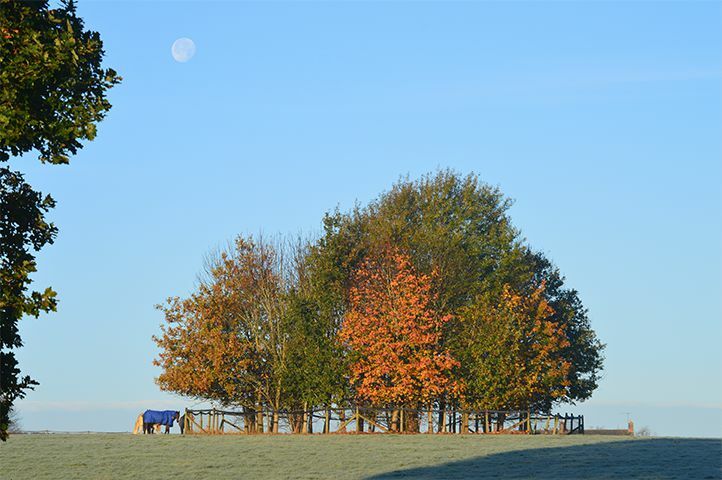 MR. BANKS will now go to Southwell on Tuesday, making his reappearance after 591 days. Who is also making a re-appearance after a long absence. He has done a lot of work and his schooling has been more natural and sensible this time around, especially in a visor. If he gets balloted out on Sunday, he has other options next week.